While in Cardiff, Wales, the team has been participating in the inshore racing portion of the stopover with practice races, Pro-Ams, and today's Sky Ocean In-Port Race finishing 5th. "Every we time we leave the dock, it's our expectation to win," said Skipper Charlie Enright. "That certainly hasn't changed despite the scoreboard. It would mean a lot for us to be able to finish this race saying that without a couple big incidents. We would have been right there." "You certainly don't have a choice over the situations you end up in but you do over how you respond to them," added co-skipper Mark Towill. "And this team has demonstrated a lot of resilience and a lot of strength and I think we're gonna continue to show that these next two legs and I feel really good about that." 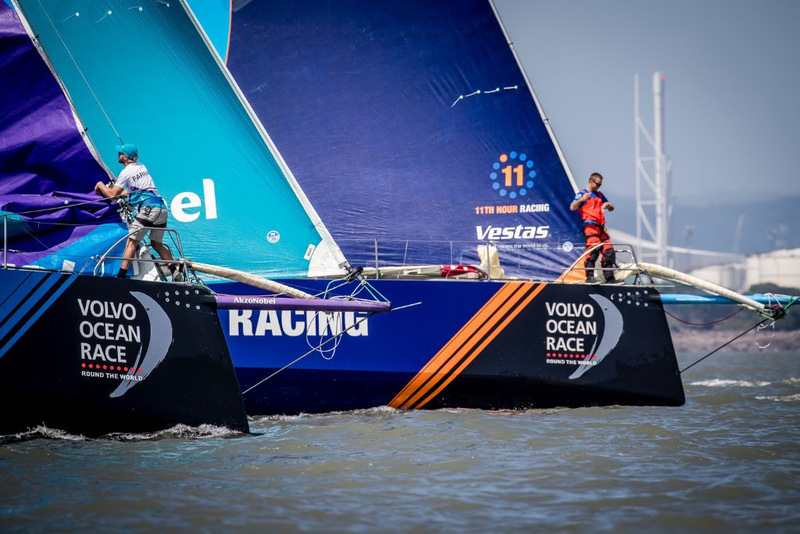 More importantly, the team is still committed to being the most sustainable team in the Volvo Ocean Race. By leading the initiative among the teams, we are proud to be minimizing our footprint while maximizing the impact of the campaign. Check out the infographic below describing just a few of the efforts of the team to lead sustainability.